Thank very much to Raclette Brothers for this delightfully cheesy Savoyard dish. 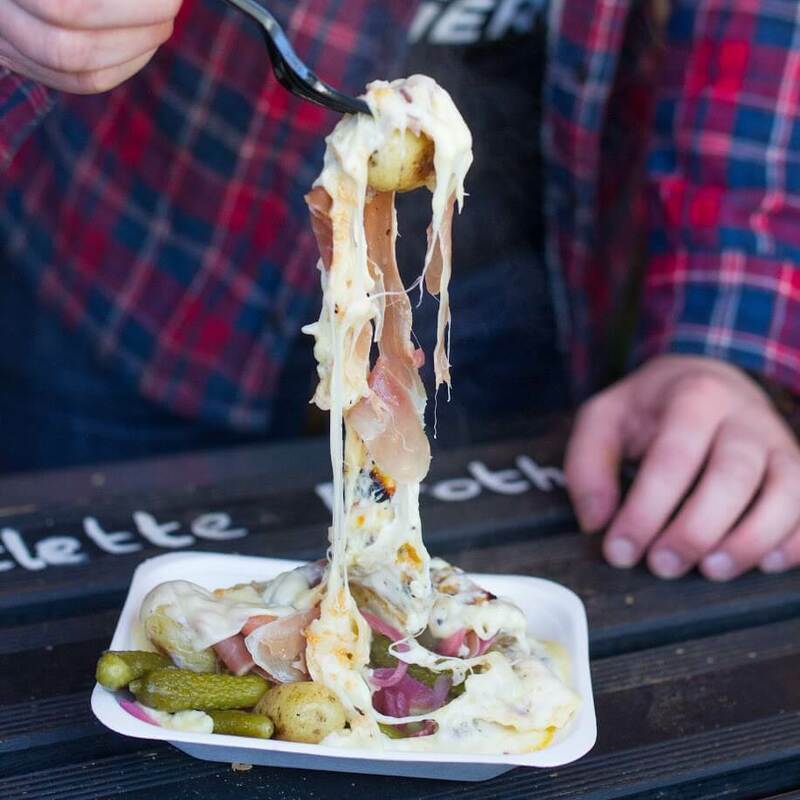 You can book Raclette Brothers for your wedding, birthday party, corporate event and more on Feast It today! Delight your guests with melted Raclette on charcuterie and roasted vegetables, beef bourguignon buns, raclette poutine and many more mouth watering dishes. Peel the potatoes and boil them in salted water. Once they are soft through, remove them from the water and cool. Fry the bacon lardons and onion in a splash of olive oil until the bacon fat has fully cooked off and the onion is soft. Add the maple syrup, stir and remove from the heat. Season with salt and pepper. Slice the potatoes into 1cm thick pieces and layer in an ovenproof, buttered gratin dish. Add some of the bacon mix, then layer more potatoes on top. Continue layering, with a bacon layer to finish. Stir the crème fraiche and white wine together and pour over the dish. Finish by layering 1cm thick slices of reblochon cheese all over the top. Bake for 25 minutes. Finish with a blow torch for colour. Serve with a dressed green salad, pickles and a French baguette to mop up the cream. Attention veggies: Bacon can be swapped for wild mushrooms, but leave out the maple syrup!